I do have less time now to go out and take new photos, but as usual when this is the case, I do still have enough photos that I shot but that I didn’t upload yet. 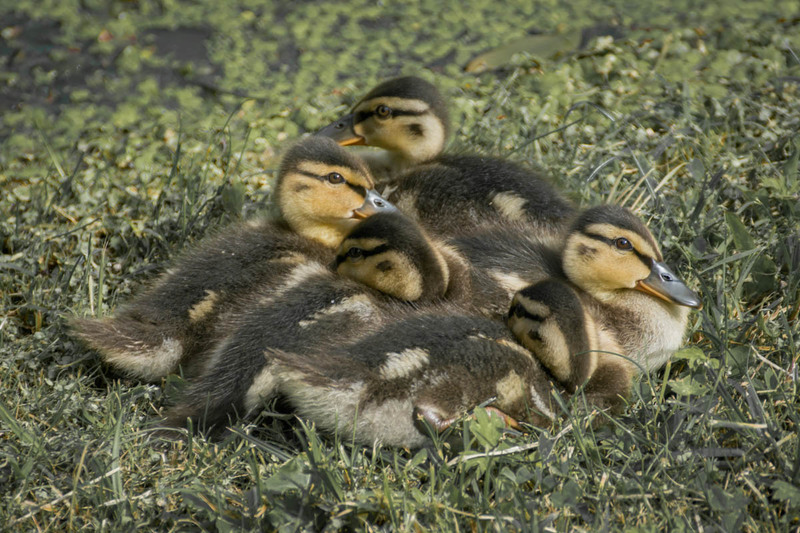 Today I want to show you a photo of some cute ducklings that I found around two weeks ago or so. I was somewhere outside of Lübeck and noticed a strange sound near a very small pond, and it took me a while but then I noticed I found these cute ducklings that made the sound. They are more than cute, aren’t they? They are so lovely. I must admit, that ducks are one of my favourites animals, they are so cute and their feet are so funny to be honest. I mean why on earth has a animals orange feet? I find its very funny. Do you know the story of the ugly duckling by hands christian Andersen? The picture reminded me of that!